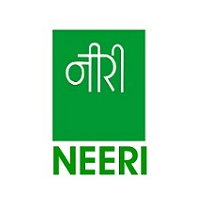 NEERI Recruitment 2019: CSIR – National Environmental Engineering Research Institute (NEERI) scheduled for Project Assistant Level-I, Level-II & Level-III vacancies in various disciplines. The detailed eligibility criteria and application process are given below. BCA/B.Sc. (Computer Science) for data entry/report preparation & report formatting etc. Age Relaxation: 5 years for SC/ST/OBC/Woman/ Other statutory groups. Interview Centre: NEERI, Delhi Zonal Center, Naraina Industrial Area, New Delhi. How to apply NEERI Recruitment 2019 for Project Asst? All interested and eligible candidates can download an application form in NEERI website (www.neeri.res.in) and send duly filled application form along with required documents to b_sharma@neeri.res.in on or before 22 April 2019.